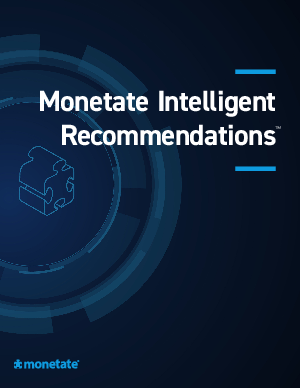 Monetate Intelligent Recommendations is the only solution that gives merchandisers & digital marketers the power to show contextually relevant product recommendations without burdening IT resources. Using manually curated or algorithmically-driven recommendations, marketers can easily support even the most complex product catalogs. Our solution filters recommendations based on customer attributes (e.g. shirt size), longitudinal behaviours (e.g. browsing behaviour), and situational context (e.g. product inventory at local stores). Best of all, an orchestration layer intelligently selects which algorithms and which filters to apply in any given situation, for any particular individual.